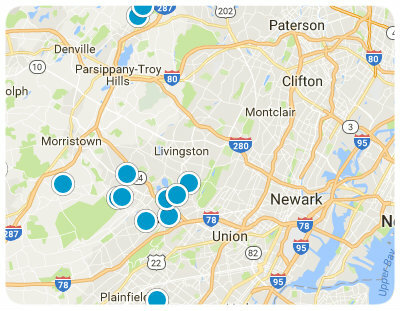 Looking for a great place to live in the Northern New Jersey area? Clifton is a fantastic place to call home. Whether you are starting a family apart from the hustle and bustle of the city, or if you are trying to avoid the sky-high prices of real estate in New York, New York, Clifton can meet your needs. It is a charming small community within driving distance of the “City that Never Sleeps, making it a great destination for those going to school or working in New York, that don’t mind a 40 minute commute. Living in Clifton affords residents the best of both worlds. This family-friendly community has a quiet laid-back vibe, but the world-class attractions and the excitement of the big city is easily accessible. Homebuyers with children will be pleased to discover the education system is very highly regarded. And for those who like to plan for the distant future, there are several colleges within a five-mile radius of Clifton as well. As far as entertainment goes, there is plenty to do for people of all ages and interest. There are several parks within the city limits for those more inclined to spend time outside, and for those who enjoy the nightlife, there are a large variety of restaurants and bars in the downtown area. With a population of approximately 85,000 residents, Clifton is a perfect combination of small town and big city and has real estate available in a very broad price range that is sure to accommodate most homebuyers’ budgets. Homes for sale in Clinton are of varying ages, sizes and architectural styles which means whether you’re single, a family, empty nesters or retirees, you are certain to find a home here that meets all of your needs and desires. If you would like more information regarding homes for sale in Clifton, New Jersey, please allow us to assist you and contact us today.